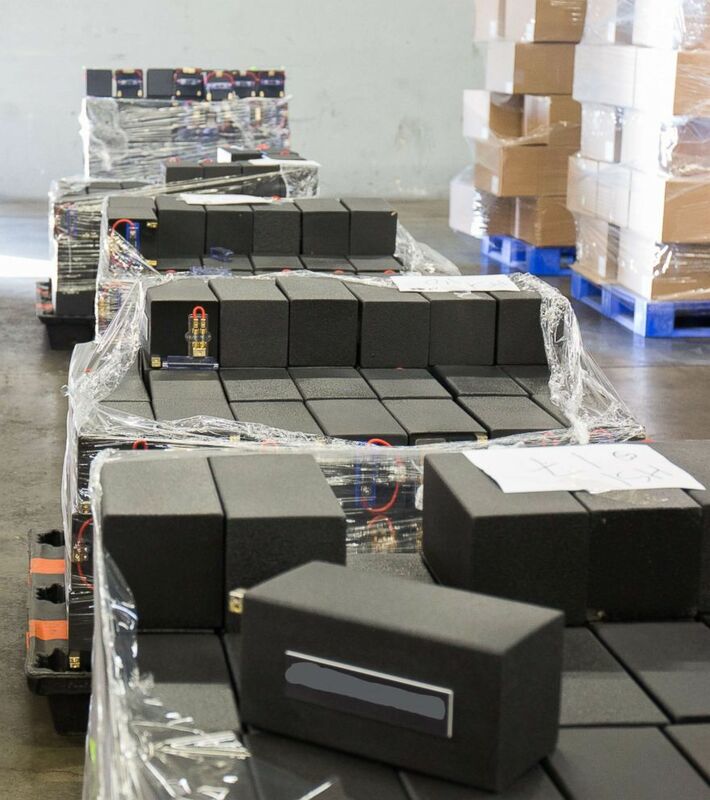 Customs and Border Protection agents discovered methamphetamine hidden in speakers at the Long Beach seaport in mid-January. "There's no question that the criminal organization behind this scheme has been dealt a significant blow," Joseph Macias, special agent-in-charge for Homeland Security Investigations (HSI) Los Angeles, said in a statement. "Along with our law enforcement partners here and around the world, we continue in a day-to-day battle against the blight of methamphetamine that continues to devastate our communities. Through a collaborative effort -- pooling our information, resources and expertise -- we are keeping this dangerous contraband from reaching our streets and potentially saving lives." The bust was the largest amount of methamphetamine ever seized in the United States, according to police. Authorities said six people have been arrested in the scheme -- two Americans and four Australians. The Americans were identified by Australian police as a 52-year-old man and 46-year-old woman living in Woodstock, Victoria. Australian Federal Police evidently found the seizure to be worthy of memorializing via pun. They asked commenters on their Facebook page to, "Help us celebrate and post your best ice puns below." The bust is the third major seizure announced by U.S. authorities in a matter of weeks. 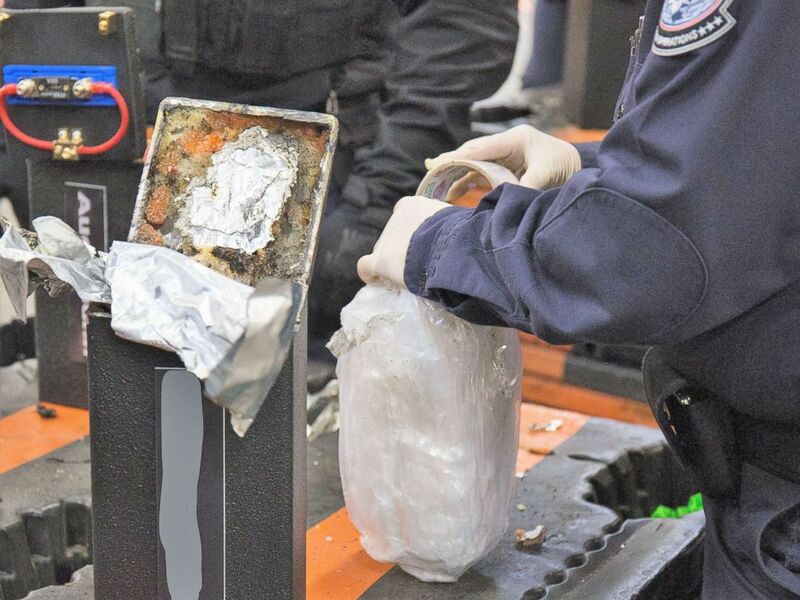 CBP announced the largest-ever fentanyl bust on Jan. 31. 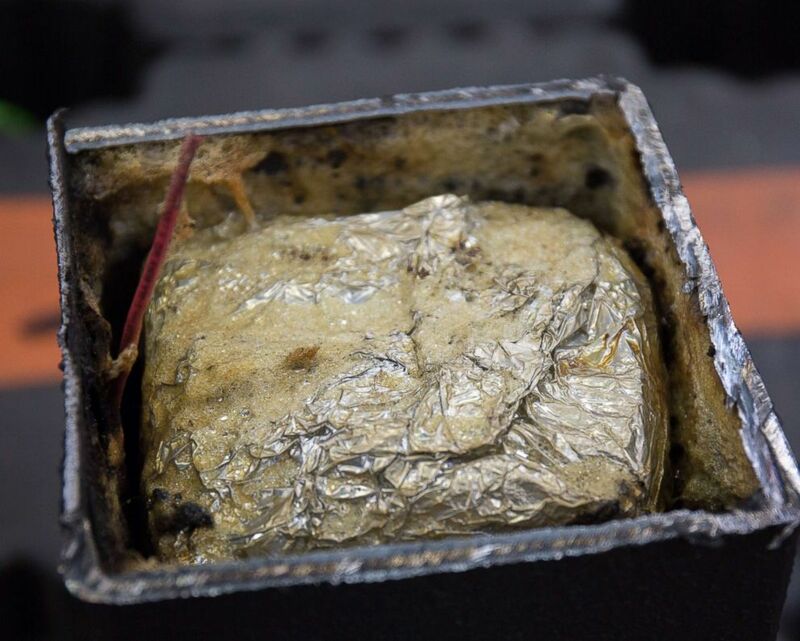 Authorities seized 254 pounds of fentanyl, a powerful opioid, worth about $3.5 million at the Nogales Port of Entry in Arizona. Just two days later, the Maricopa, Arizona, County Sheriff's Office announced they had seized 3,500 pounds of marijuana and over 220 pounds of meth near Gila Bend when two trucks swerved around a border patrol check and tried to elude authorities in a desert chase.